Based on Mark Twain's 1872 autobiographical novel, Roughing It follows the travels of young Mark Twain through the Wild West during the years 1861–1867. After a brief stint as a Confederate cavalry militiaman, he joined his brother Orion Clemens, who had been appointed Secretary of the Nevada Territory, on a stagecoach journey west. Twain consulted his brother's diary to refresh his memory and borrowed heavily from his active imagination for many stories in the novel. 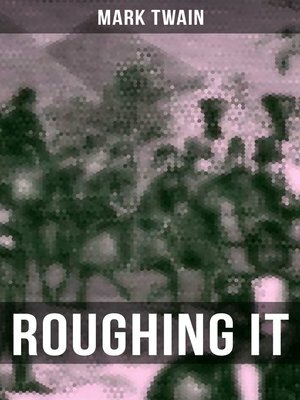 Roughing It illustrates many of Twain's early adventures, including a visit to Salt Lake City, gold and silver prospecting, real-estate speculation, a journey to the Kingdom of Hawaii, and his beginnings as a writer. Mark Twain (pseudonym of Samuel Langhorne Clemens) (1835-1910), quintessential American humorist, lecturer, essayist, and author wrote The Adventures of Tom Sawyer.